Sustainable actions are often quantified in terms of taking cars off the road. We all know that driving causes pollution and that isn’t good. The fact is though that public transport can be a bit of a nightmare at times. It isn’t always a practical or affordable option. Switch to driving an electric car. Electric cars means driving without creating emissions on the road. You still need to generate the electricity to charge them though. This energy can come from fossil fuels elsewhere. To get around this problem you could get a home charging point installed and switch to a renewable energy supplier*. Then charge your car using that renewable energy. Solar panels and other home renewable energy sources can also be used to charge your car. Another criticism of electric cars is your driving range is limited before you have to recharge them. Things are changing though. Some electric vehicles have ranges of over 200 miles. Others have a small petrol engine which charges the battery and helps to increase the range. A hybrid car is a compromise between an electric car and non-electric car. When the vehicle is running it will use a combination of battery power and fuel.There are different types of hybrid vehicles. Some can be charged too giving them more battery power. When it is idling e.g. when you are stuck in traffic, it will just use battery power. So overall in theory it will use less fuel, be less polluting and should save you money on fuel costs. There is a down side to hybrid cars though. When they are using petrol or diesel only they can be very uneconomical when it comes to fuel usage. My parents have a hybrid car. From their experience they have found that their’s switches over to solely fuel usage on acceleration and at higher speeds. So you really have to think about how you will use the car and as to whether hybrid or electric would be better for you. Hybrid cars aren’t as eco-friendly as a car charged entirely on renewable energy. However (unless you get a plug in hybrid) you don’t have to worry about charging the car up between uses. Also your journey length isn’t limited by how long the car charge will last. minimise their carbon footprint and strive towards being a carbon neutral company. educate children about the environment and ways to preserve it by donating 1% of their turnover to an environmental education scheme. recycle their company waste wherever possible. If you are going to upgrade your car to a more eco-friendly one you will want to sell or scrap your old one. 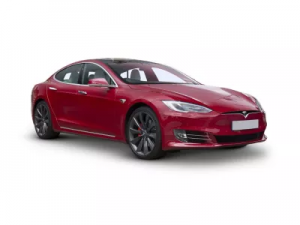 There are lots of ways to sell cars including using auction sites like BPI Auctions or Gumtree You could also look for a hybrid or electric car through an auction site. You may want to consider a scrappage scheme if you have an older car and are looking to buy a new one . However be careful as they don’t always work out cheaper as explored in this article do diesel scrappage schemes match the hype? You can save money and energy on a regular commute, school or college run by filling up the car with other people. Do a rota and take it in turns to do journeys or even charge people for the ride. Ask around at your place or work, kids school or college to see who is in your area and could do a lift share. You can balance car driving with walking, cycling and getting public transport where possible, but these changes can help to lower your impact on the environment when you do get in the car. Disclaimer – this post has been sponsored by BPI Auctions, Go Green Leasing and Gumtree and links to an article marked with * which contains an affiliate link. Opinions are all my own. Picture credit to Go Green Leasing.